Select the DOCX File that is to be recovered and repaired, as shown in the below figure. 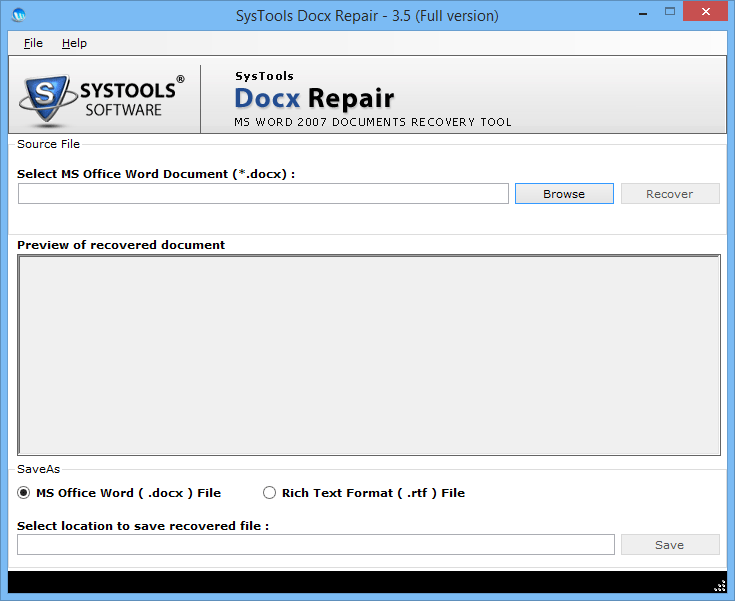 After repair, the software will start recovering the selected DOCX file. The process is for scanning purposes. 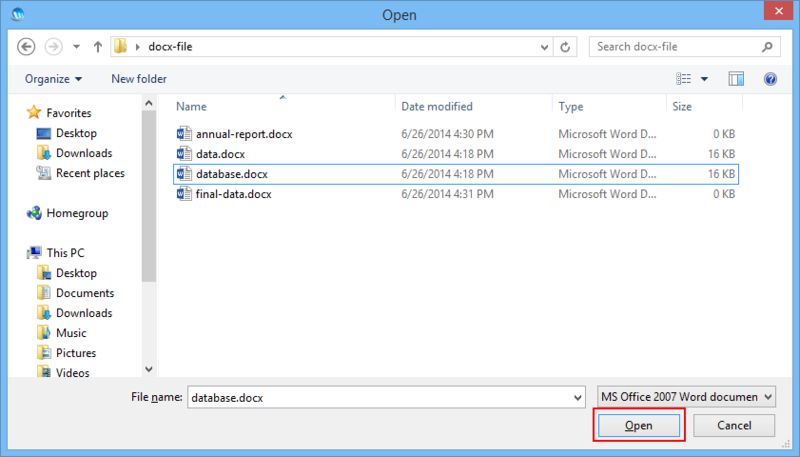 After previewing the contents of DOCX file, select the Output File Format from Save As. 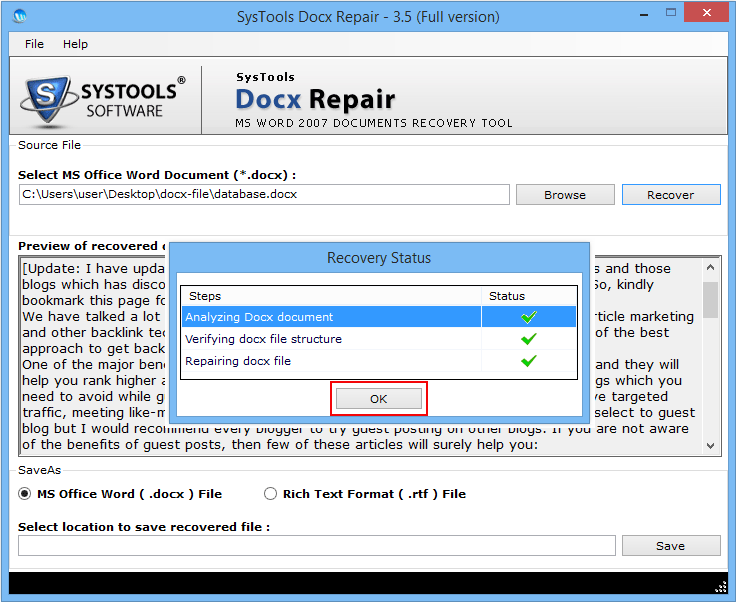 The software allows to recover contents from corrupt DOCX file and save it in two formats: (1) MS Office Word (.docx) File (2) Rich Text Format. 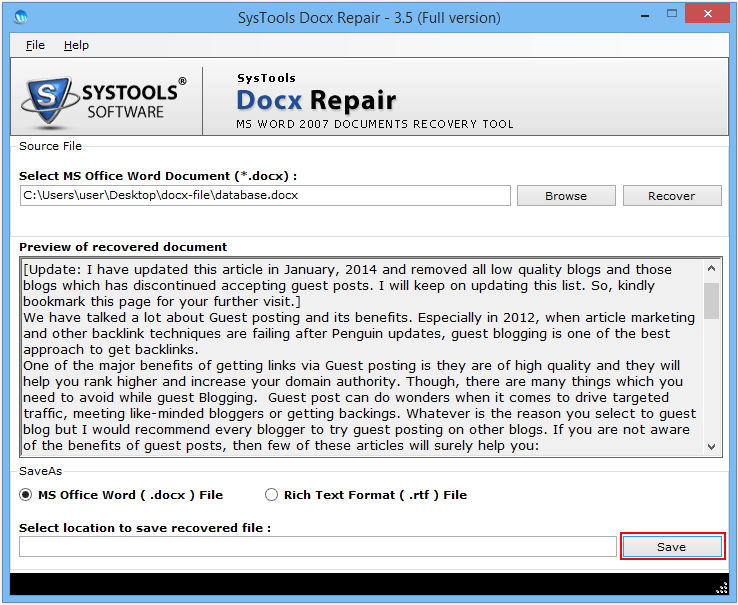 Select MS Office Word (.DOCX) File: To repair and save recovered content from corrupt DOCX in its original format. 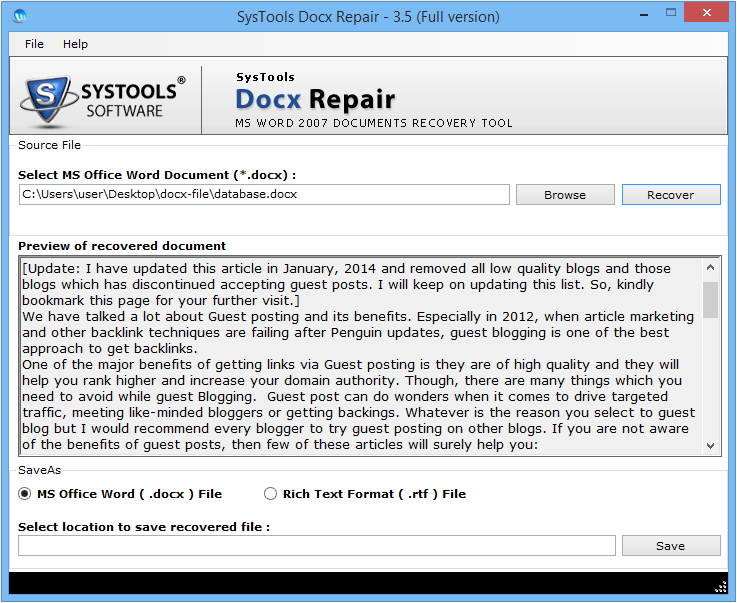 Select Rich Text Format (.RTF) File: Recovered contents of the corrupt DOCX file can be converted into an .rtf format file. 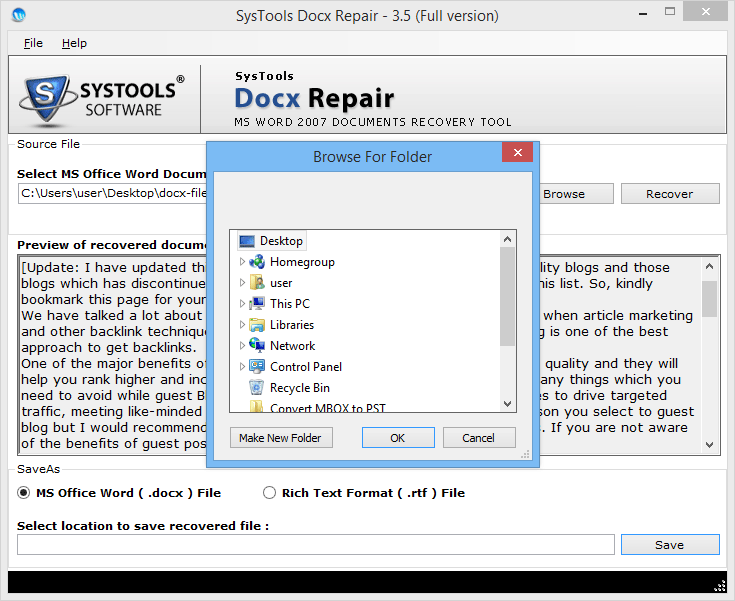 Click on the Save button to store the recovered DOCX file on the computer in a location of your choice. Select the path where you need to store the recovered DOCX file. 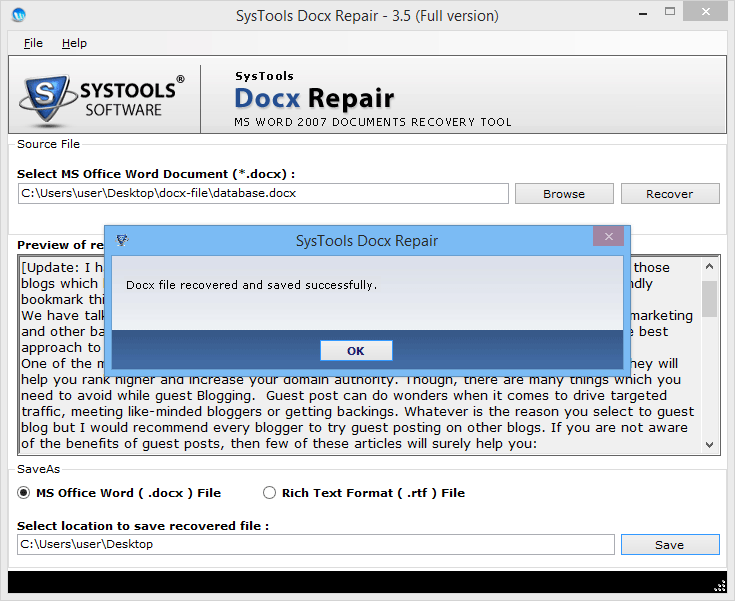 With this step, the process of repairing corrupt .docx file ends.